On a recent trip to my hometown, I traveled two hours north to visit a close family member living on the streets. 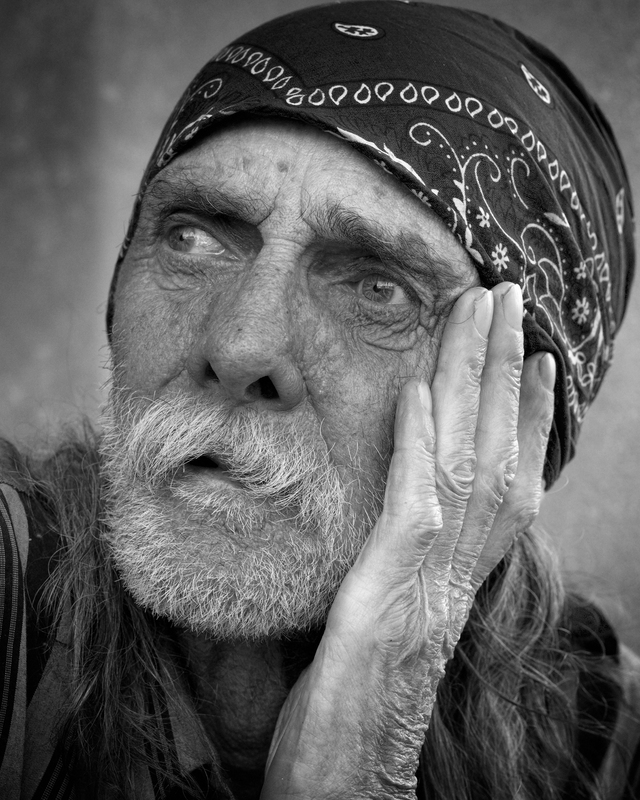 He is chronically homeless, and it deeply saddens me he is unable to accept housing assistance. Someone chronically homeless is an “individual with a disabling condition who has either been continually homeless for a year or more or who has had at least four episodes of homelessness in the past 3 years.” There were around 650 thousand people homeless one night and 1.59 million people spent one night in a shelter in 2010, and about 17 percent were chronically homeless. Reasons such as high unemployment and/or substance abuse problems contribute to homelessness, but people without homes still have basic human needs. Basic needs that include water for drinking and washing and toilets to pee and poop. Before the trip, I gathered basic living provisions for Nate (pseud. ): backpack , raincoat, shoes, water bottle, and soap. But I worried “where would he fill his water bottle?” and I wondered “where would he use his soap?” While buying him lunch, I gingerly asked if he ever uses shelters. He doesn’t. He echoed what numerous other people feel, “shelters are dirty, dangerous, and packed.” This older ethnographic report by Hill and Stamey found the same sentiment. Nate essentially has nowhere to get water, take a bath, or use the bathroom. I was distraught to probe further, and I didn’t want to insult his dignity. But I now wonder more than ever before. What are US communities doing to provide water and toilets for humans without homes? There are few water and toilet options for individuals experiencing homelessness. For water, folks may use a public drinking fountain [not always nearby], sinks in a public bathroom [not always nearby], drinking fountains at a shelter [often not open during daytime], sinks in a private bathroom [could be kicked out], or ponds and streams [possibly contaminated]. For toilets, folks may use a public toilet [not always nearby], a toilet in a shelter [often not open during daytime], a private toilet [could be kicked out], or go outside [could be arrested]. It’s a challenging situation for those on the streets. I didn’t tell him I noticed when we took him to lunch, but the first thing Nate did was use the restaurant bathroom. US cities need to do a better job ensuring ample public drinking water, hand-washing, and toilet facilities for those experiencing homelessness. There are organizations and cities addressing the issue, but more research needs to be done to inventory, categorize, and prioritize options nationwide. Here are a few brief examples. The I am Waters Foundation provides bottled water to shelters, missions, and community homeless organizations. Central Oregon Veterans Outreach gives 5-6 gallon containers to homeless camps and returns to fill them with water weekly. Some shelters such as this one in Arizona host bottled water drives during summer months. Portland built six innovative Portland Loos. Another organization in San Francisco is proposing similar small bathrooms except with toilets that separate solid from liquid wastes. Several cities like Grand Rapids and San Diego installed portable toilets in the past. The handful of water and toilet projects listed above are steps in the right direction, but sadly few of these options are available in Nate’s town. In addition, some are short-term solutions to long-term problems. It gives me hope that one academic architecture program is realizing the importance of design for those without homes hosting a Rethinking Shelter event, but it’s up to all of us to better understand water and toilet options available for those without homes and to advocate for appropriate solutions. In conjunction with PHLUSH, we’ll compile more information on this issue in future posts.